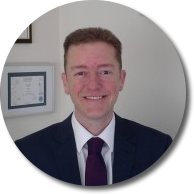 Bill is a Chartered Financial Planner and holds the Advanced Diploma in Financial Planning. He is also qualified to give specialist pension advice. 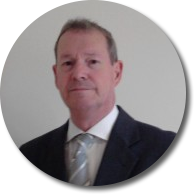 Bill began his working life as a civil engineering contractor and supervised construction project both large and small in the UK and overseas. In 1991, soon after returning to the UK, he undertook a complete change of career direction and entered the field of financial services. He has been employed as a company representative, sales manager, stock broker and independent financial adviser since then before forming Financial Professionals (NI) Ltd. He was a regular visitor to Hong Kong over many years before deciding to base himself in the Far East. 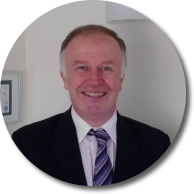 He corresponds regularly with customers and returns to the UK to meet face to face with clients on a frequent basis. He is qualified and permitted to provide financial planning advice both in Hong Kong and the UK. He also holds a Honours Degree in Business Administration. Michael is qualified to diploma level in financial services as well as holding a Master of Science degree. He has worked in many management positions and entered financial services as a stock broker and financial adviser. After working with a London based firm of stockbrokers he joined Financial Professionals (NI) Ltd as a director. Michael is happy to give advice across a wide range of financial issues and is particularly interested in advising corporate clients regarding matters that affect businesses in today’s economic climate. After leaving university with an honours degree in management Ian became a successful manager in a large national retailer. Wishing to build on this valuable experience and realise his full potential Ian entered the financial services industry. To this end he funded himself through the initial qualification stages of becoming a financial adviser and then was successful in gaining a position with a multinational firm of stockbrokers and financial advisers based in Canary Wharf, providing advice on investments, pensions and savings. Ian is qualified to diploma level in financial services. Chancellor slams Pension Providers over excessive plan charges..
Is your company ready for The Great Auto Enrolment revolution?